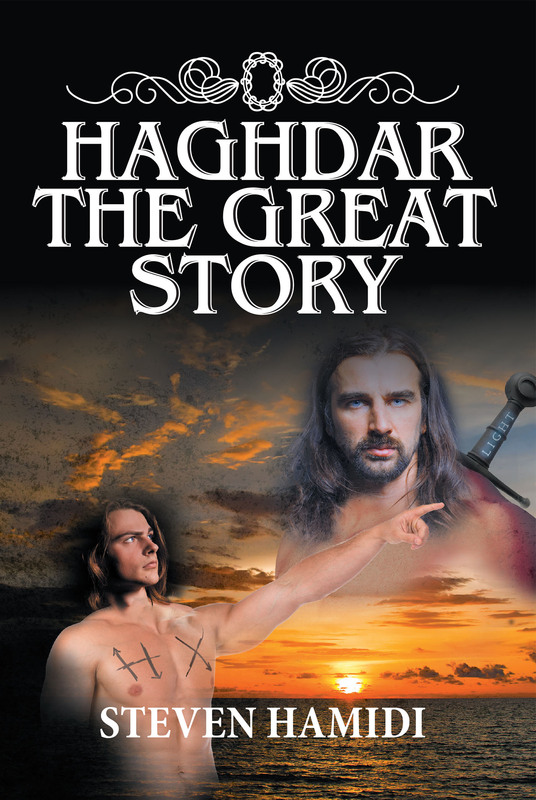 Haghdar The Great Story happens in a different universe from ours but relates to many of today's issues on our planet with profound thoughts from above for sophisticated readers and constant action for adventurous ones. The date is many thousand light-years apart; the place is in the fifth dimension, where the most powerful general of the most powerful country must seek help from an adversary to a supernatural force to ensure his succession. The events do not progress as he planned, and although the result is greatness, it is not without pain and despair. His mischief continues into four generations of bravery, servitude, war, love, misunderstanding, betrayal, deceit, treason and murder. Haghdar is the top general's grandson. He has the DNA of the supernatural force embedded in his genes, which he passes on to his descendants. Hagdar is superior to all in body and mind. He joins the military at age ten and replaces the top general at age sixteen. Haghdar is wise and merciful with subjects and allies but brutal with enemies and those who commit to treason. He envisions and strives to make the world systemic and perfect. To achieve his ideal, Haghdar must fight against and defeat powerful agents of the darkness; many of which stem from within. Yet all through the journey of life, Haghdar becomes more resilient and determined to finish what he started despite the times when the darkness of doubt creeps into his soul and heart.